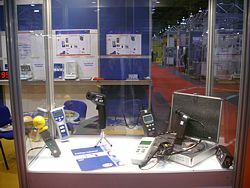 Everybody in Industry needs a reliable supplier of weighing and measuring equipment as well as systems, solutions and services to enhance business productivity and to support the user as much as possibly. 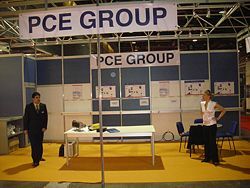 At PCE Instruments we aim to supply the solution to all your possibly needs in the aforementioned areas and also provide technical help to solve any problems encountered. 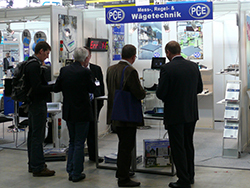 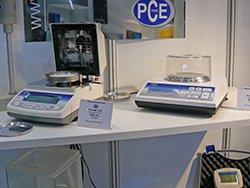 In addition to our catalogues and online shop PCE Instruments also regularly holds stands at various trade shows such as MIAC in Italy , LABORALIA in Spain or the TechExpo in Moscow. 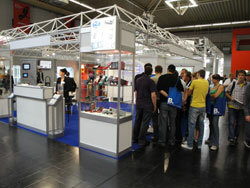 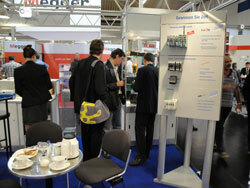 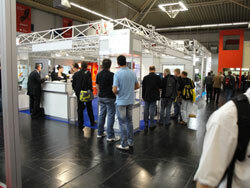 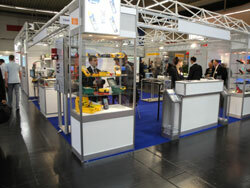 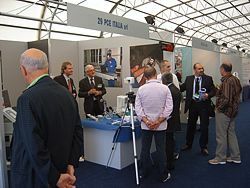 Russia showed a big interest in PCE Instruments Products specifically in the field of weighing technology. 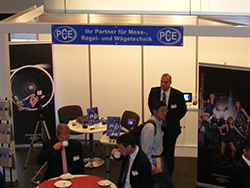 The sky is the limit for PCE. 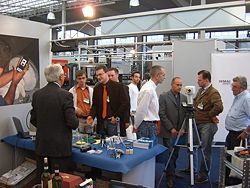 International visit at the ICTP Conference. 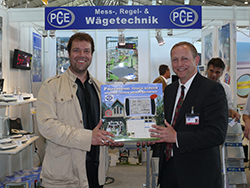 In addition to contact with out experienced technical staff a raffle was held for one lucky winner. 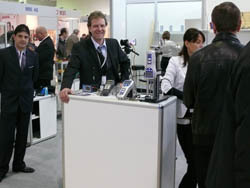 At the stand our devices are presented in display cases but if a prospective customer wishes to see and test are devices we gladly oblige. 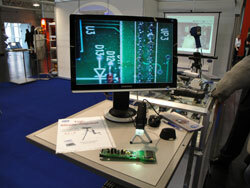 We also carry test subjects to test different parameters. 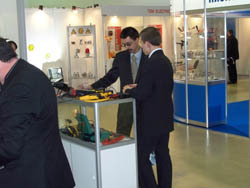 Above is a small selection of images from our recent show in Moscow. 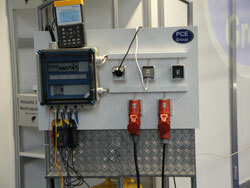 One product that had a lot of interest shown in it was the Moisture Balance PCE-MB 200. 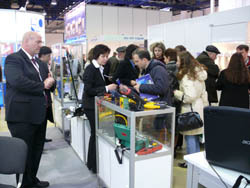 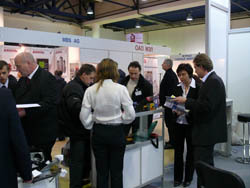 More pictures from the TechExpo in Moscow, with some very interested customers.